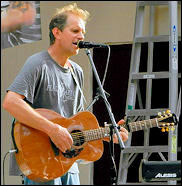 Steve Poltz (solo) opened the evening of acoustic music in Colorado Springs promptly at 8 pm. His hour long set was exceptional. 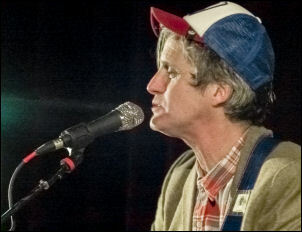 Poltz is a truly amazing entertainer, weaving funny and entertaining stories into and between his songs. He easily drew the sold out crowd of 550 into his world and held their undivided attention throughout the performance. Poltz is best known as a songwriting collaborator with Grammy Award nominee Jewel Kilcher and as a founding member of the San Diego indie band The Rugburns. He played a good mix of songs from his most recent project the soundtrack for the documentary film "Running Wild - The Life Of Dayton O Hyde" along with some other well crafted originals. Near the end of the set he told a very funny story about a trip he took to Mexico with Jewel which lead to them co-writing the hit song "You Are Meant For Me." The song appeared on Jewel's breakthrough Platinum selling album "Pieces Of You." Of course Poltz performed the song and added some more hilarious commentary that had the enthusiastic audience yelling "Hallelujah" at him before the song was done. The last and only cover song he played was "Waterfalls" written by Lisa "Left Eye" Lopes. Poltz told us the song just makes him happy and he likes the message in it. He "rapped" one of the last verses of the song and was rewarded with a well deserved standing ovation at the end of the not quite long enough set. I am now a Steve Poltz fan for life. It was that good. Nederland, Colorado folk band Elephant Revival played next. From the first song through the encore they held the attention of nearly every person in the crowded venue. You could hear every breath singer & percussionist Bonnie Paine and multi-instrumentalist Sage Cook took during the quieter sections of the songs they sang. The audience was intent on hearing every single word. 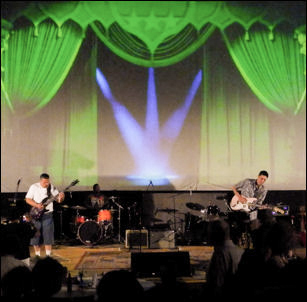 It was that collaboration between the band and the audience that made this night at Stargazer's Theatre special. Also worth noting were two performers that appeared during the 85 minute long set. First was Rainbow Michael from Boulder who walked on stage before the instrumental "Ancient Sea" and performed illusions with a ball. Later, aerialist Lani Gordon performed acrobatics on a rope hanging between the audience and the stage while the band played their instrumental "Single Beds Are Made For One." They both embellished the music Elephant Revival played along with them. 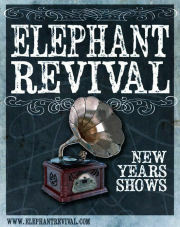 Elephant Revival's set was nearly all original songs that were all unique and very well played. Paine's voice in particular is a standout. There is an alluring, soft and lilting quality to her voice that must be heard live to be appreciated fully. Paine sang the last song of the set "Out Under the Winter Sky" a cappella which drew enthusiastic applause from the crowd. The three song encore was capped when Poltz, Rainbow Michael and Gordon joined Elephant Revival on stage for a poignant sing along version of Bob Dylan's "Forever Young" lead by Poltz on acoustic guitar and vocals. Poltz dedicated one verse to Nelson Mandela who passed away recently. It was quite a night to remember at Stargazer's Theatre for the last Saturday in December of 2013. With the generous assistance of Jonathon L from the venue and sound engineer Shaun Wall with Elephant Revival I captured the night of music and have made it available for your listening pleasure. The links below will lead you to more photos and the recordings I made of both performances. Thank you to Stargazer's Theatre, Steve Poltz and Elephant Revival for allowing me to record this wonderful night of acoustic music. Prompted by reading a discussion thread I saw over at taperssection.com I thought I'd share the details of the construction of the sound board patch cables I made a while ago and have been using for years. Read more about them by following the link below. Upstate New York based jam band moe. gave us two sets of great music in Denver on December 6. They played the instrumental "Oh, Hanukkah" from their Season's Greetings From moe. CD for only the third time ever. Also, a great cover of the Pink Floyd song "Time" sung by Chuck Garvey started after "Ricky Marten" which was also very nice to hear. An abbreviated rendition of "Spine Of A Dog" was played as the encore just before 2AM on Saturday and set everyone out of the venue happy. The Magic Beans from Colorado opened the show and did a really good job. They fall into the String Cheese Incident like category of jam bands gauging from what I heard on Friday night. Long jams with solid playing and singing were what I heard during their 45 minute long set. I would like to see them headline a show on their own sometime. I did record both bands at the Friday show and I also took some photos which can be accessed by following the links below. I have never owned a large diaphragm multi-pattern microphone. So, when I spotted this used and cosmetically neglected Nady SCM-1000 microphone on eBay for less than $50 I bought it and made a learning project out of restoring it and upgrading it for my specific needs. I cleaned it up, made some minor circuit modifications, replaced the stock capsule with a new capsule and painted the body. I took photos and notes throughout the process and have included them on the page linked below. It had been a while since I'd gotten out to record anything, so I headed over to the Black Sheep in Colorado Springs on Saturday night to record the Grant Sabin Band. There was a good sized crowd for the show that was headlined by Larry and His Flask. 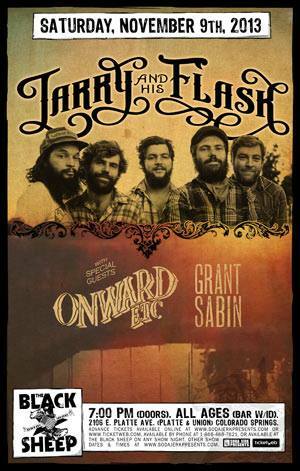 I had seen Larry and His Flask before, as they opened for Lucero at the Black Sheep last year in April. Singer-songwriter Kiel Grove opened the show at 7:45PM. He played a good enough set. The audience wasn't paying attention, so there was a lot of chatter that made it difficult to hear the subtleties of Grove's performance. The Grant Sabin Band played as a three piece with a new bass player, Chris Davis and of course with Alex Koshak as usual behind the drums. As has been the case every single time I've seen Sabin, it was an intense, well played set that was well received by the audience. Check out my recording by following the link below. In a continuing effort to make my recording gear lower in profile, I had the idea to make a small, robust stereo microphone mount for my Microtech Gefell M300 microphones. I used some parts I already had along with items I purchased at local hardware stores to complete the project. During construction I took some pictures. I have also included links to the materials I used. Follow the link below to access the project page. I was only able to go to the Sunday Furthur show at Red Rocks this year. But, I'm so glad that's the one I was able to attend. I got there early enough to be the first taper to set up behind the sound board. So, I got the center spot on the rail. I taped my stand to the rail as I usually do, which proved to be a good thing. It rained through most of the first set. But, that was nothing compared to the wind! It was the kind of wind that turned several umbrellas inside out and it blew over at least two microphone stands that weren't taped down well. The first set was very good despite the wind. I really enjoyed the songs "Black Throated Wind" and "Brown Eyed Women". The sound from the PA system was excellent as usual for Furthur Red Rocks shows. I ran my Audix CPS-MICRO-O (omni's), which was another good thing, because my Gefell M300 cardioid microphone source for the first set is somewhat un-listenable because of that wind. Omni-directional microphones reject wind better than directional mics. The strong wind and rain slowed down near the end of the first set and didn't come back again for the second set. Thankfully. The band took an hour long set break as the crew covered everything on stage with tarps. They opened the second set at 7:15 PM with Bob Weir's "Weather Report Suite." A little after the "Let It Grow" section started Branford Marsalis walked onto the stage with his saxophone! Weir marked the legendary jazz sax man's appearance on stage with some humor, by saying, "Security please!" in the middle of "Let It Grow." Well, the rest of the night was just magic with Marsalis sitting in on saxophone for the second set and encore. The band played one of the best sets I've seen them play. Of course they did "Eyes Of the World". They finished the "Dark Star" they started on Saturday night. Next came a somewhat disjointed reading of "The Other One" which segued perfectly into "Morning Dew" which was sung beautifully by John Kadlecik. "Help On the Way" > "Slipknot!" > "Franklin's Tower" was somewhat expected by me, but it was great to hear that trio of songs. They finished the night with the most appropriate song, "Brokedown Palace." The back-up singers Sunshine Becker and Jeff Pehrson really sweetened that song, making it one of my favorite songs of the night. Marsalis went around the stage and hugged everyone. Then they all lined up downstage and took a big deep bow together as the audience showered them with applause. The show and the last night of the four night stand at Red Rocks was over. Both of my recordings of the first set suffer from the phasing sound that happens with high winds, but they're listenable. The Audix CPS-MICRO-O (omni-directional microphones) first set recording is better than the Gefell M300 recording. The second set's both sound fine. Some photos I took and the recordings I made can be accessed via the links below. 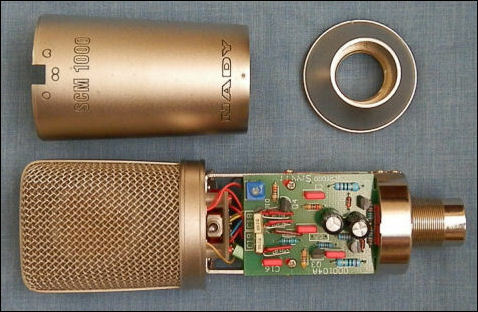 My Audix microphone recording also earned a mentioned in an article on JamBase online. Rescheduled from September 13 because of rain, the concert featuring the band 2 Hour Delay. The band made up of Colorado Springs teachers played as a trio and gave us two one hour sets with a good mix of originals and covers. They played some old school folk tunes, some newer music and had a few really nice originals. I took some pictures of the band which can be found by following the link below. I didn't make a recording. Saturday, August 24, folk singer Joe Uveges and Mark's Midnight Carnival Show played the last free Saturday concert of the year in Acacia Park. It was another beautiful night for music in Colorado Springs. Uveges played first and gave us a good set of original songs with some cover's mixed in too. His between songs comedic banter was just as good as the music. He had the audience laughing with him throughout the performance. I planned to multi-track record his set, but it didn't work out. So, I don't have a good recording of his set to share. He did express interest in trying it again. So, hopefully I'll get one of his up coming shows recorded. I didn't stay for Mark's Midnight Carnival Show. But, I did hear them sound check and I thought they sounded very good. Follow the link below to view a couple of photographs I took during Uveges's hour long performance. On Friday, August 23 Stargazers Theatre hosted the Jake Loggins Birthday Bash and Justus League CD release party. It was Loggins 30th birthday and the venue was packed. Loggin's brother Justin opened the show with a comedy skit which included lots of pictures of Jake throughout the years. The images were displayed on the giant movie screen behind the stage at the venue. Justin Loggins told many interesting and funny stories about his younger brother before the music started. Next, The Jake Loggins Band laid down some rocking blues covers which had lots of people up and dancing. This band was much more hard driving than the band I heard him play with in June at Acacia Park. 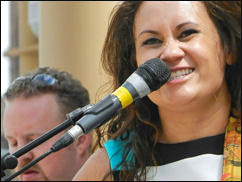 The Wendy Woo Band has been playing the lunch time concerts at the Hilton Antlers Hotel (Plaza) in downtown Colorado Springs for many years now. The free summer concerts are hosted by Cushman Wakefield. This year was one of the best performances I've seen from her band. They get better every time I see them. Playing as a four piece, the band was focused and Woo really shined on guitar and vocals. Belting out the songs when appropriate and reining it in when more subtle singing was needed. The band followed along expertly. The weather was perfect and the sound was excellent. The highlights of the 93 minute long set, for me, were the originals "Another September" and "Ghost". The band also did excellent cover versions of John Mayer's "Why Georgia" and the beautiful John Prine written "Angel From Montgomery". Finally, there was good weather again for the free weekly concerts held at the Acacia Park Bandshell in downtown Colorado Springs. Up first on Saturday, August 17 was the Alan Joseph Trio with guest musician Mark Rose on saxophone. Joseph is a local guitar master and jazz guitar instructor at the University of Denver. His band's hour long set consisted of a good mix of original instrumentals and standard jazz covers. The small, mostly older crowd seemed to enjoy what they heard. Colorado Springs music lovers may have become a bit skeptical about attending the Saturday evening concerts because the weather had cancelled the last two in a row. But, this time it was a very nice, clear evening with no rain and light wind. Performing after The Alan Joseph Trio was singer-songwriter Levi Weaver from Nashville, TN. Weaver entertained the crowd with his voice, an acoustic guitar and some electronic wizardry. He used vocal and instrumental effects and loops to embellish his mostly dark and often angsty songs to good effect. He also had an interesting story to tell about nearly every song he played. The audience was very attentive during his low key but very well played set. It was getting dark and the crowd had thinned a bit by the time his set was ending. When unexpectedly, Weaver walked to the front stage lip after his last song to lead the crowd in a sloppy but fun version of "Happy Birthday" sung to very surprised sound engineer Russ Tellup. Tellup, owner of Hard Act Entertainment, has provided the PA system and live sound engineering for the Acacia Park concerts for at least the last two years. Happy birthday Russ! 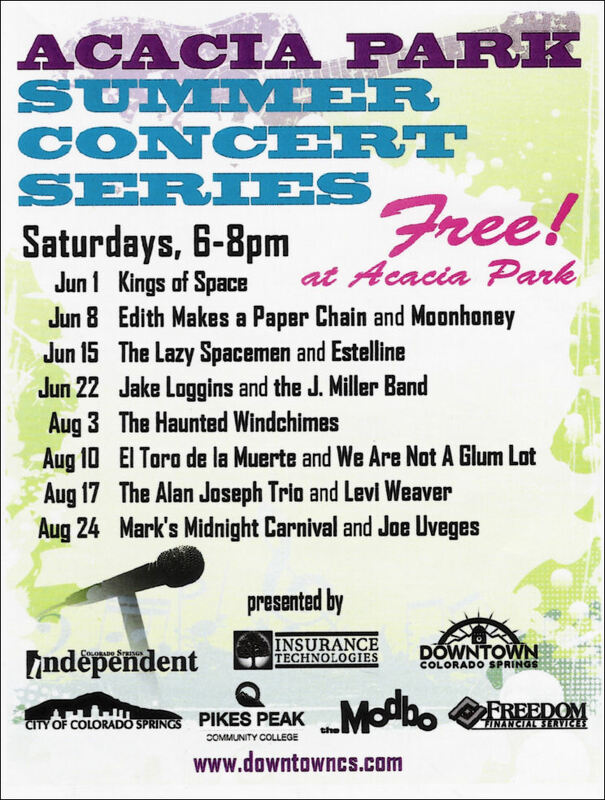 Next Saturday is the last free Acacia Park concert for the summer of 2013. 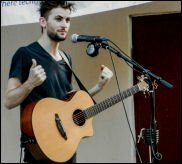 I hope the weather cooperates as local singer-songwriter Joe Uveges is scheduled to perform. I have not seen him play yet, but I have been told he is very good. I'm waiting to see if I will get permission to upload the Alan Joseph Trio recording I made which I think turned out well. I did take some photos of both acts. They can be accessed by following the links below. For the second Saturday in a row the free concert in Acacia Park was cancelled due to weather. On August 3 and last Saturday, August 10, it was raining lightly, but there was lightning over head 30 minutes before show time, so both shows were cancelled by the organizers before 6PM. We badly need the rain in Colorado Springs so there's a bit of good news mixed in with the bad. So, I missed an opportunity to record the Haunted Windchimes who I really enjoy. The recording I made last year of the Windchimes in Acacia Park turned out so well, I was hoping to get another good recording of them this year. I also missed seeing and recording We Are Not A Glum Lot and El Toro de la Muerte last Saturday. I have not yet seen either of those bands play live. But, what I have heard from listening to both bands online is impressive. I hope to have another opportunity to record both of those bands soon. Hopefully the weather will be better this Saturday for the Alan Joseph Trio and Levi Weaver. I have only seen Alan Joseph play once before. That was back in 1991 at the Pikes Peak Vineyards for a Labor Day festival. So, I'm anxious to hear Joseph and his band play some jazz again. This time in Acacia Park. 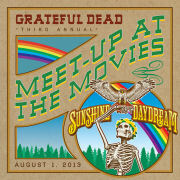 The third annual Grateful Dead Meet-up at the Movies event held on August 1, this year featured the premiere presentation of the long awaited documentary film Sunshine Daydream. The movie filmed at the Oregon County Fair near Veneta, Oregon on August 27, 1972 documents a concert by the Grateful Dead to benefit the failing Springfield Creamery which was owned by Ken Kesey's family. This movie premiere was a very long time overdue. Though an unofficial audio recording of this concert has been a touchstone for deadheads through the years, the Grateful Dead were unhappy with technical aspects of their performance. It was a very hot day in August of 1972 and the stage had the band facing into the hot sun, which made it difficult for them to keep their stringed instruments in perfect tune during songs. But, the Grateful Dead played very well despite the tuning issues. Apparently those issues have been fixed or are no longer a concern, because the movie has finally been released. So, on what would have been Jerry Garcia's 71st birthday, movie theaters across America played the film Sunshine Daydream at 7:30 PM local time to eager deadheads. I was one of them. I really enjoyed the movie. But, I was surprised by the camera work, which was often out of focus and very shaky at times. The best parts of the movie were the scenes that featured the Grateful Dead playing songs. When the camera's were not focused on the band playing, the movie dragged a bit for me. If you want to know what hippy's looked like in the early 1970's there are plenty of scenes showing that in the movie, including male and female fans dancing blissfully to the music and completely naked. Those images reminded me of the movie Woodstock which was filmed three years earlier. The movie theater audience I was part of clapped and cheered after every song the band played. There were certainly some poignant moments too. Like when the cameras were focused close in on Jerry Garcia. But, I generally felt more joyous hearing the music rather than sad seeing those images. Well, there's not much else to say about it other than it was cool to see it on a huge movie screen with a loud 5.1 surround sound mix. An infomercial played before the movie began indicated that CD, DVD and Blu-ray audio and video packages of Sunshine Daydream are available for pre-order. This was my second time seeing Dotsero play at the annual Cushman and Wakefield free summer concert series held at the Hilton Antlers Hotel plaza in downtown Colorado Springs. The band played so well that the crowd brought them back for an encore, which is unusual for this venue. The highlight of the set was a more than 25 minute long version of the Bob James classic "Westchester Lady." The Dotsero version featured a section that references Tito Puente's "Oye Como Va" which was popularized by the group Santana in the 1970's. I made a nice recording of the performance but I have not yet received permission from the band to upload it to this site. I did take some pictures, which can be viewed by accessing the link below. I'm a Wilco fan and that lead me to listen to Uncle Tupelo and eventually to Jay Farrar and Son Volt. So, when I saw that Son Volt were playing in town this week I decided to go check them out. Son Volt's music still has a lot in common with Uncle Tupelo's alternative-country sound. When Jeff Tweedy formed Wilco, he expanded the Uncle Tupelo sound far beyond alternate-country. Farrar has stayed much closer to it from what I heard on Tuesday night. The opening band, Colonel Ford, consisted of Son Volt, without Jay Farrar. So, they were a great opening band for Son Volt fans. Their ten song set was comprised of country standards, including Gordon Lightfoot's "(That's What You Get) For Loving Me", Freddie Fender's "Wasted Days and Wasted Nights" and the Johnny Cash penned, "Train Of Love." I was talking to someone just after Colonel Ford left the stage about how much I liked the set when Mark Spencer the very talented multi-instrumentalist and singer for both bands came by and told me he didn't like the way they played and asked me not to upload my recording. It's still somewhat surprising to me how musicians perceive what transpired on stage so differently than how the audience perceived it. So, you won't hear my Colonel Ford recording. Son Volt got up on stage about twenty minutes later and played a great set, with lots of songs from the newest album "Honky Tonk". Unfortunately, Colorado Springs must not have a lot of Son Volt fans, as the 400 capacity venue had approximately 75-90 people in it at most. Son Volt didn't want any photos to be taken during the performance, so I don't have any to share. But, I did get some photos of Colonel Ford, and I did record the Son Volt set and uploaded it to this site. Unfortunately there wasn't much of a crowd on a this Tuesday night in Colorado Springs. So, the recording has that empty venue sound to it. Jam band moe. 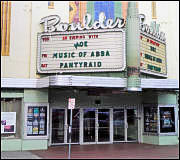 played a real barn burner of a show at the Boulder Theater on July 3, 2013. From the first notes of the keyboard introduction to "Tubing the River Styx" through the encore, the song selections and playing were excellent. Some in attendance even called it an old school moe. show. 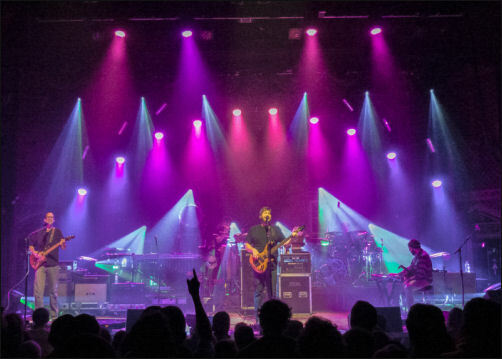 There were probably less than 750 in attendance, at the venue that holds 1,000, which made it nice and comfortable compared to other shows I've seen at the Boulder Theater. The band took the stage at a little after 9 PM and played the last notes of "Mexico" at around 12:45 AM. We all left very satisfied after that show! The first set was great, but the second set was even better. Starting the set with the very short introduction to "Meat" they played a nearly perfect seamless second set, coming back to "Meat" again twice before the encore. By far the highlight and most surprising song they played was a set closing cover of the RUSH classic, "Tom Sawyer" with multi instrumentalist Jim Loughlin singing lead. It was only the third time the band had ever played that song. It just came out of nowhere and it was well received by the crowd. I didn't know Jim could sing so well! "Silver Sun" also had some great dynamic and often subtle playing by the whole band. Listening to Chuck and Al trade off guitar leads before the lyrics was sublime. "Mexico" was a great choice to end the night of otherwise hard jamming music. One more thing I have to mention is that the lights for moe. get better every time I see them. They really are spectacular. I tried to capture them with my budget camera, but I couldn't do them justice. Though I have added some of the photos to my moe. images page. Local bluegrass favorites Grass It Up played two one hour long sets at Stargazers Theatre on Friday, June 28. They drew a large, mostly older crowd for the free Friday concert in one of Colorado Springs most popular music venues. I hadn't seen Grass It Up since they added vocalist and banjo player Jim Marsh to the line-up. He is a great addition to the band. His playing is excellent and his voice fits in perfectly with veteran lead singers Shannon Carr and David Jeffrey. Grass It Up played a good mix of original songs, traditional bluegrass standards and a few cover songs. I liked the original "Westside" and the instrumental cover of "Over the Rainbow." The cover was a very cleaver re-arrangement of the classic song from the motion picture The Wizard Of Oz. Also, worth noting is Marsh's brush work on his banjo skin during the group original "Westside." Jake Loggins, Colorado Springs resident electric blues guitar master, gave us a great set of electric blues classics in Acacia Park on Saturday, June 22. With prolific local drummer Dewey Steele and "Fingers" Farrell playing bass Jake Loggins entertained the crowd of around 150 on a beautiful Saturday afternoon in the park. I have to say I was mesmerized by "Fingers" Farrell's bass playing during the 63 minute long set of blues songs. Loggins was the star attraction, but the rhythm section was stellar. The highlight of the set was the Bill Wither's classic "Use Me" which featured a blistering guitar solo from Loggins and a tasteful drum solo by Steele. The song, the longest of the set, stood out from the rest for it's intensity. Also on the bill was the J. Miller Band which I had not seen before. Their "Folsom Prison Blues" > "Deep Elem Blues" > "Folsom Prison Blues" medley early in the set caught my ear during their performance. It felt to me like they were just getting warmed up when their 50 minute long set was over at around 8:15 PM. The Lazy Spacemen played at the Acacia Park band shell on Friday, June 15. 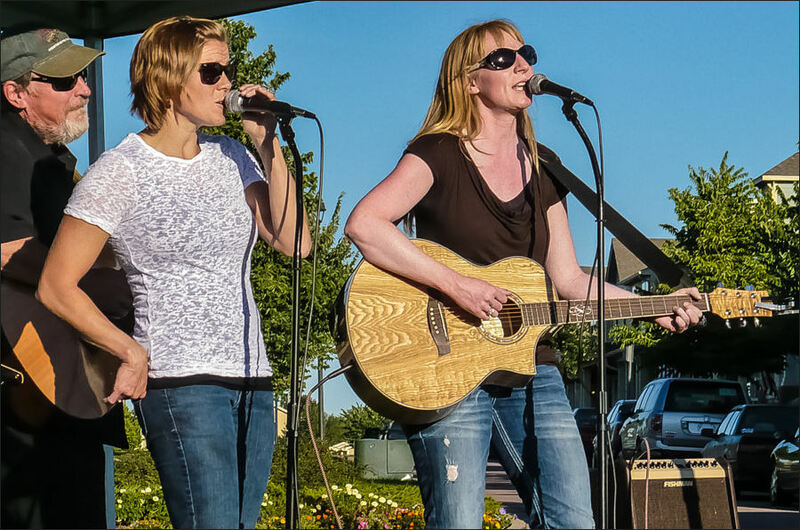 They were on a double bill with Austin, Texas band Estelline for the free afternoon concert in the heart of Colorado Springs. 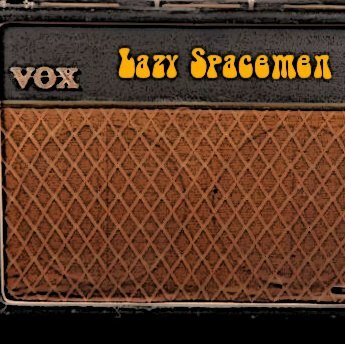 I've know Chuck Snow and I have recorded his bands often through the years, but I hadn't seen his band the Lazy Spacemen before. As the band was setting up on the outdoor band shell it started to rain lightly. But, we got lucky and the clouds moved and the weather was nice for the rest of the evening. I set-up next to the soundboard and used AKG C-480 condenser microphones fitted with CK-63 hyper-cardioid capsules with heavy windscreens aimed at the speakers to supplement the mono soundboard feed for the recording. Snow played his locally famous "The Uncle Wilbur Fountain" song, solo, while the rest of the band were making their way onto the stage. It was hilarious and the few of us that were paying close attention to the lyrics kept laughing harder as the song went on. I liked The Lazy Spacemen set very much. "Fishdriver" was the song that caught my ear from the 50 minute long performance. I can't say I'm really happy with the recording. I should have been closer, but I wanted to try the soundboard feed for this recording. Also, when I've recorded up front at this venue in the past, the drums were a little overpowering because of the acoustic interaction with the band shell. The last song The Spacemen played was an original titled "Crumbs" which reminded me of the night before recording Cracker at the Bluebird Theater. Follow the link below to listen to the recording. Crumbs. That's what Cracker fans call themselves. So, I was a Cracker crumb on Friday night, June 14. I've seen both Cracker and Camper Van Beethoven many times. I like both bands equally. So, I should say I am really a David Lowery fan primarily. Both bands, fronted by Lowery played great hard driving sets at the Bluebird Theater in Denver Friday night. The two sets were up there with the best I've seen both bands play over the years. I want to give a special shout out and thank you to Cracker & Camper Van Beethoven audio archivist morst. When I arrived at the venue I had tickets waiting for me. Inside the venue, the venue staff went out of their way to accommodate me. Including roping off an area that I was able to set-up in at just the right spot to make the best recording. Morst, band manager Bobbie Conner and the venue staff made me feel like a VIP, which is quite unusual in my experience but very much appreciated. Camper Van Beethoven played first and performed a very good set that included some songs off the their latest album, La Costa Perdida. I hadn't heard any of them before. I liked all of them and I think they fit in with the bands repertoire very well. Cracker with Victor Krummencher, from Camper Van Beethoven, playing bass in place of Sal Maida played a flawless set that included the somewhat rare Grateful Dead cover of "Loser" opening the set and the band's biggest hit "Low" following that. Both bands played so evenly I can't pick out any highlights. Lowery didn't address the crowd with stories or any extra commentary on the songs which I am accustomed to hearing, but that left more time for them to play music. They played the Sister Sweetly album in it's entirety in the middle of the set. I hadn't seen them play live with Jeremy Lawton before. I think he is a great addition to the band. His lap steel playing adds so much to the overall sound. Hazel Miller also lent her voice to the songs "Sister Sweetly" and "Please Don't Tell Her". It's always good to hear Hazel Miller sing with the band. Boulder's Big Head Todd & the Monsters are celebrating the 20th anniversary of the release of their breakthrough album Sister Sweetly this summer. 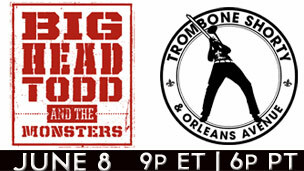 AXS TV will be broadcasting the band's June 8 concert at Red Rocks live tomorrow night. I've seen quite a few of the Red Rocks concerts AXS TV has broadcast and I think they do a good job with the audio and video. 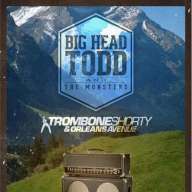 If you are a Big Head Todd & the Monsters fan it will be worth tuning in. You can check out the audience recording I made of the band before they made it big here on the Live Music Archive. Kings Of Space is a collective between four bands. Grant Sabin, The Flumps, Briffaut, and We Are Not A Glum Lot. Three separate acts billed together as Kings Of Space played at the Acacia Park band shell to open the 2013 Acacia Park Summer Concert Series on Saturday, June 1. First to play was Daniel James Eaton solo, then Charioteer and Grant Sabin & the Full Moon closed the show at 8 PM. Eaton played a good set to open the evening. This was the first time I had heard Eaton play solo and he did a good job. I didn't know any of his original songs, so I wasn't totally engaged, but I enjoyed his opening set. Charioteer was up next. It was interesting to see Alex Koshak front the band, singing and playing electric guitar. I had only seen Koshak play drums (with the Grant Sabin Band) previously. Sam Erickson who I've only seen play electric guitar (again only with the Grant Sabin Band) played the drums. Grant Sabin rounded out the band on bass. I was reminded of early '60's rock-n-roll bands when listening to Charioteer. Grant Sabin & the Full Moon closed the evening, playing hard driving electric blues for the 200 plus people in attendance in the park. The fourth annual Denver Day of Rock - Concerts For Kids was held on May 25 in downtown Denver. I recorded The Railbenders and Roger Clyne and the Peacemakers performances on the Welton Street stage. Roger Clyne, of course, was the leader of the disbanded Arizona band The Refreshments. The band plays originals as well as songs from The Refreshments catalog. It was great to see The Railbenders play together again. They don't get together to play as often as they used to since Jim Dalton became the lead guitar player for Roger Clyne and the Peacemakers. I really enjoyed their set. Unfortunately the crowd was more interested in chatting and partying than listening to the band play. Highlights of the Railbenders set included the rocker "Black Chrome Horse" and an extended version of "Drivin' Back To Denver". The audience was more attentive for the Roger Clyne and the Peacemakers set. Roger never fails to be thoroughly entertaining. His energy is infectious and he held the crowds attention for the entire set. The vocals were slightly under mixed for the RCPM set, and that is evident on my recording. But, other than that the recording I made is enjoyable. I really enjoyed the songs Jason Boots plays trumpet on, which were "Lemons" and "Mexico". "Green & Dumb" was dedicated to some friends of Jim Dalton's who were married that day. The song was very well played and was another highlight of the 70 minute set. Colorado Springs mainstay musician Chuck Snow opened for Junior Brown at Stargazers Theatre on Saturday May 18. It was one of the best sets I've ever seen Chuck play. With George Duncan accompanying him on pedal steel Chuck gave us a great mix of originals and classic country covers. I multi-track recorded his set and have made MP3's available for live streaming and download below. I had never seen Junior Brown and I really enjoyed his performance. That Guit-Steel guitar Junior plays is really something. It allows him to move from the electric guitar sounds to pedal steel guitar sounds in an instant. He's got a great country voice and he has a lot of songs to sing in his repertoire. 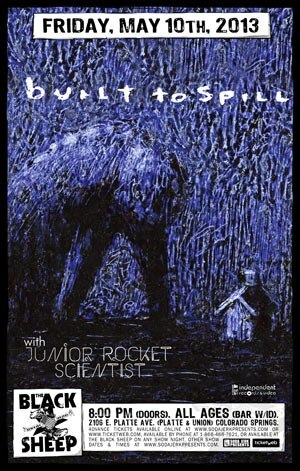 Having enjoyed hearing Built To Spill the last time I saw them, I decided to head over to the Black Sheep Friday, May 10, to see and record them again. I was not disappointed. I was there for sound check and I saw Built To Spill do a cover of the Blue Oyster Cult classic rocker "(Don't Fear) The Reaper". It sounded very good. Even better than the cover versions of the song I've heard another band I like, moe. do. The opening band Junior Rocket Scientist left me cold. I didn't really get what they were doing and couldn't relate to their music. Their set sounded very disjoined to me. The Black Sheep holds 400 people. It looked to me around 3/4 full. So I'd guess there were 300+ people there. 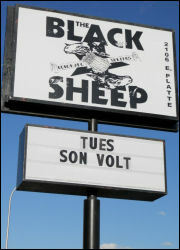 I've been to sold out shows at the Black Sheep and those were very crowded and packed in. So, 300+ people felt like a nice comfortable sized crowd. I enjoyed the Built To Spill set and got a reasonably good recording. The sound was a bit muddy to my ears. But, the vocals were bright and clear and were actually sibilant at times. I can't say there was a real musical highlight for me during their set. All the songs were played well by the band and the crowd was very enthusiastic. If pressed, I'd say "Hindsight" was my favorite song of the night. They played "(Don't Fear) The Reaper" as the first encore song and it was well received by the crowd. Mostly all of them were still there at the end of the show. The lead singer for Junior Rocket Scientist played cowbell on "(Don't Fear) The Reaper", which I thought was (SNL skit... lol) funny. I rode up to Garden City, Colorado on Saturday, April 20 with Rick and Kevin (the rhythm section) from the Davenport Band. Rick had to leave his floor tom at home to accommodate me riding in the car. They were the first band to play at the now, Annual 4/20 Music & Culture Festival at Nature's Herbs and Wellness Center dispensary. I recorded their short, mostly uninspired set. I'm not really happy with the recording. So, I probably won't upload it. But, it was really good to see them play. I took some photos which can be found at the link below. 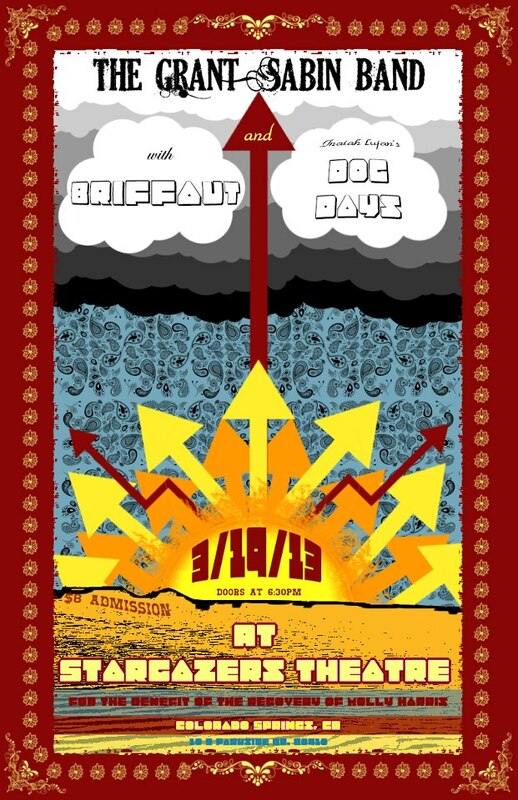 The Grant Sabin Band, Briffaut and Dog Days played a benefit concert on March 19 to raise money for Colorado Springs gal Molly Harris who was injured in an automobile accident and needs help paying the bills. Inaiah Lujan’s Dog Days played first and I enjoyed their set the most. Their music reminded me of the Beatles. They even played an excellent cover of the Beatles "Don't Let Me Down." Parts of Lujan's performance on "Don't Let Me Down" were reminiscent of John Lennon's vocal performance during the Apple building rooftop concert in 1969. I got chills hearing it sung so well live. Briffaut played next. Their set was very good too. As it happened, Grant Sabin was a member of every band that played. He played bass in Dog Days and Briffaut and played guitar and sang lead in his own band. The Grant Sabin Band played last and played an intense set of authentic blues music. Sabin's band is expert at riding the dynamics of the blues and they played a memorable mix of blues rock songs. His blues vocals and guitar playing sound like the real thing. I haven't been using my Naiant littlekit pre-amp as much as I'd like, because the NiMh 9v batteries I bought to power it are not convenient to re-charge, and some of them are not holding a charge very well anymore. So, I found a nice clean ~6v to 48v voltage converter that I can use to power the pre-amp with just 6v - 9v DC. 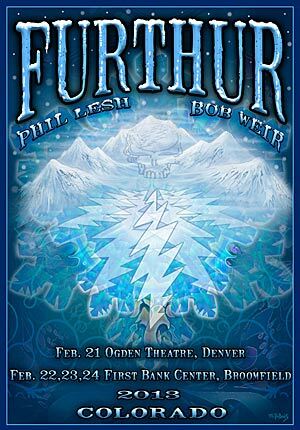 Furthur started a four night Colorado run on February 21 at the Ogden Theatre in Denver. I had a ticket but was unable to go. I attended the next two shows on February 22 & 23. I set-up to record the concert centered behind the soundboard on February 22 at the 1st Bank Center. The sound was a bit muddy and the band didn't seem very inspired at this Friday night show. The song choices were good and there were some nice moments including well played covers of "Dear Prudence" and "Knockin' On Heaven's Door". But, it was the next night, Saturday, that the band really shined. It was cold and windy out on Saturday night and it was a relief to get into the warm venue at 6:30PM. I was able to set-up in the exact same spot I was on Friday to record this show. From the opening notes of the Saturday night show everything was better than Friday night. The sound was clearer and band had more energy and the crowd responded with enthusiasm after the "The Music Never Stopped" > "Standing On Shaky Ground" > "The Music Never Stopped" opener. "Althea" kicked the first set into a hyper-drive. One taper commented that "Althea" this night was better than any single song from the Friday night show. I agreed. But, as is often the case, it was set two that shined brightest. The set was a "Help On the Way'" > "Slipknot" > "Franklin's Tower" sandwich! The opening notes of "Help On the Way" to open the set fueled the crowd. A great version of "Cassidy" followed a quote from "Slipknot". The band was playing very confidently now. Unexpectedly Phil sang "Mountains Of the Moon" next. After that, a strong "Let it Grow" > "Slipknot!" > "Standing on the Moon" > "I Know You Rider" followed. Hearing "I Know You Rider" without "China Cat Sunflower" first was strange, but I liked it. The crowd predictably gave the loudest cheer for the "I'd shine my light through the cool Colorado rain" verse in "I Know You Rider". On this night, Weir's harsh and biting guitar tone was not as annoying as it was on Friday night. Joe Russo was a monster, as is usually the case, on the drums and Phil sang "Mountains Of the Moon" very well. I also have to comment on the back-up singers. 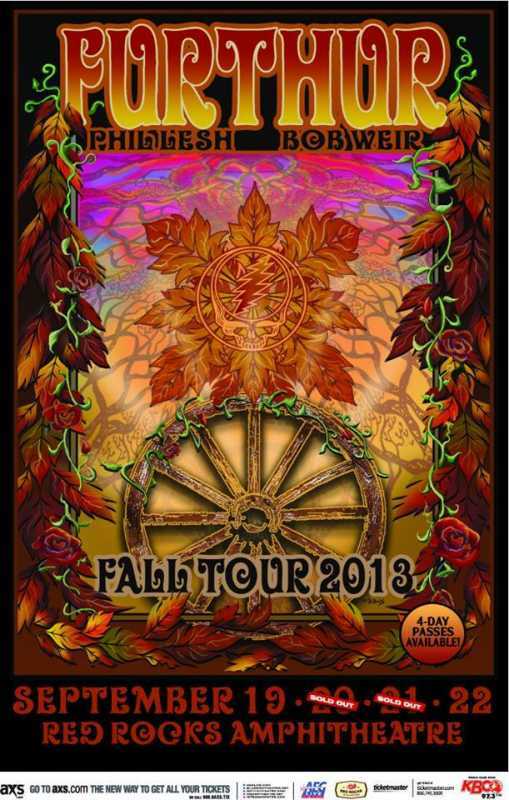 Sunshine Becker and Jeff Pehrson really do a great job of sweetening the vocals for Furthur. They just elevate songs like "Let It Grow" and "I Know You Rider" to a new level in my opinion. I thought the set was good enough up to this point to just end with the expected "Slipknot!" > "Franklin's Tower" combination. So, I was pleasantly surprised to hear a strong rendition of "Uncle John's Band" next. Then came the closing "Slipknot!" > Franklin's Tower" pairing to finish the sandwich and the set. Again, Becker and Pehrson's vocal contributions to "Uncle John's Band" were appreciated. Phil Lesh came out and did his donor rap. Since it was Saturday night, it was no surprise that they ended the show with "One More Saturday Night" as the encore. It was a strong finish to a great night of music. The three band reggae throw down at the Black Sheep on Thursday, January 31 was great fun. 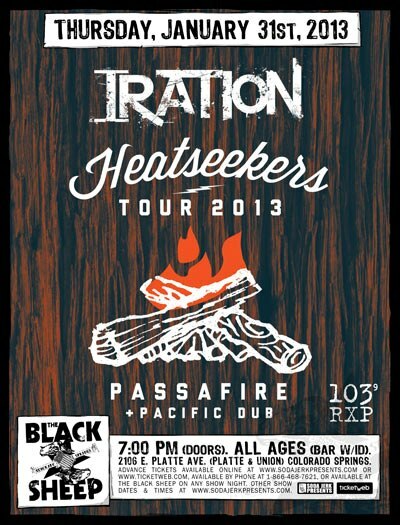 Iration supported by Passafire and Pacific Dub sold out the 400 capacity venue and played a solid night of good vibes, jammin' music. I thought all the bands played well. I used AKG CK63-ULS (hyper-cardioid) capsules > Naiant AKG Actives w/ PFA's to record the show from the soundboard area . I also had a soundboard feed for the opening two bands. My recording of the Passafire set can be downloaded and streamed from the link below. 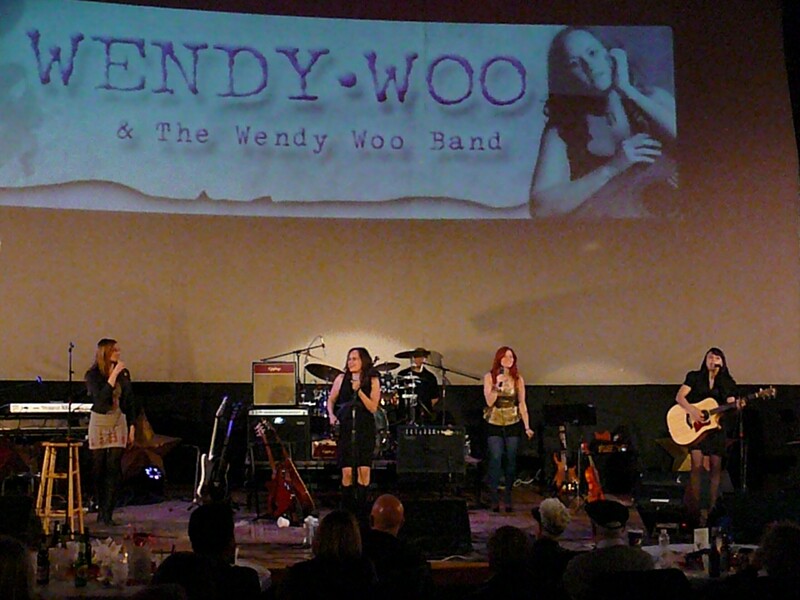 The Wendy Woo Band and Nina Storey performed at Stargazers Theatre in Colorado Springs on Saturday, January 19. A pleasantly unexpected surprise was Katie Cole, who was not on the bill, but opened the show as a duo with bass player Matt Reyes. Cole had some nice songs, especially her opener "Lay It All Down." Her voice was very good and the songs were quite catchy. After Cole's five song set, Nina Storey was next. Her energetic set was very good. I had not seen Storey play before and I was impressed. She's got a great voice and an excellent stage presence. But, it was Wendy Woo's set I enjoyed the most. The highlight was the "Surprise Me" > "Drunk In Love" combination toward the end of her set. The band got into a nice groove and jammed it out. 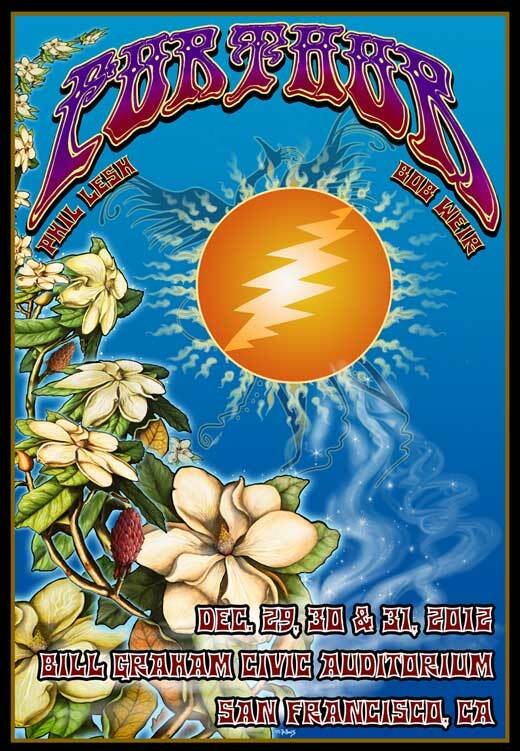 I listened to the Furthur New Year's Eve live show broadcast live via SiriusXM (internet) on Saturday night. I thought it was a great show. The song selection was very good and the band members were in a jamming mood, as many of the songs were nicely extended. The first set "Scarlet Begonias" > "The Music Never Stopped", second set "Playing in the Band" & "Let It Grow", third set "Help on the Way" > "Slipknot!" > "Franklin's Tower" and Encore "Terrapin Station" > "Brokedown Palace" were the highlights for me. Three full sets of music and the two song encore made it the longest Furthur show of 2012. Jeff Chimenti's jazzy keyboard playing along with John Kadlecik's sweet guitar licks and vocals propelled Furthur to new high heights. The back-up singers really help sweeten the vocals, making for a group vocal performance that is better than any of the individual singers alone. Joe Russo's "Help on the Way" > "Slipknot!" drum work was sublime. Weir's guitar was a little too high in the mix in my opinion, since he has been using that ultra-sharp, biting and aggressive tone almost exclusively lately. Phil's vocals are getting better all the time and the mix had plenty of his bass in it. I thought David Gans did a good job hosting the SiriusXM broadcast. He didn't interrupt the music at all while the band was playing and his between set chat with live callers was amusing. Furthur is really playing well now. I'm really looking forward to seeing and recording the Denver and Broomfield shows in February.